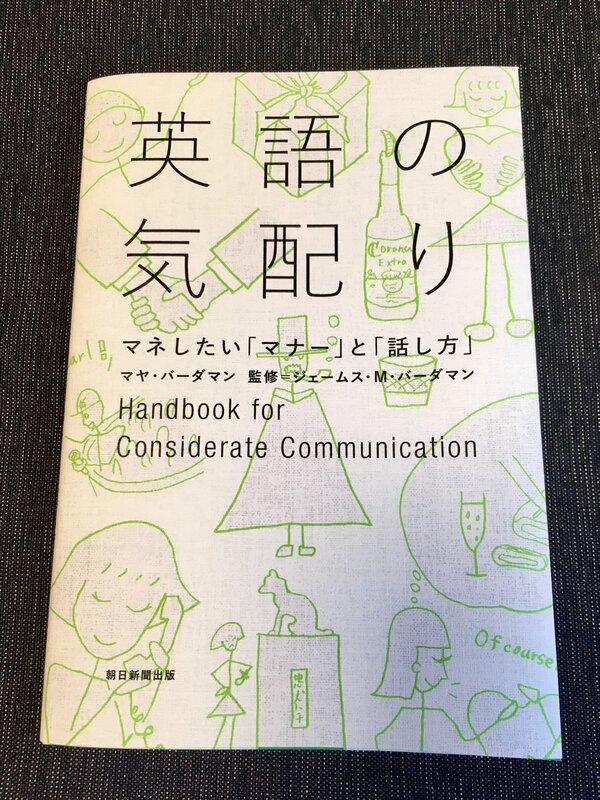 A new book “Eigo no Kikubari - Handbook for Considerate Communication” has been published as a part 2 of “Eigo no Otehon - Handbook for Workplace Politeness”. The first book focuses on expressions used in English email communication, and this book focuses more on spoken English and manners. I hope the book will help readers communicate with more confidence and have positive impact on their work and relationships. “Eigo no Otehon” was ranked #2 in Business English books for the year 2017 at Maruzen Bookstore in Marunouchi. The new book (published in December 2017) was #1 in the “Maruzen Gogaku Jyuku” Business English category. It is wonderful to know that readers find these books helpful. Thank you for your continued support! On Dec. 2, I had the opportunity to be a speaker for a 3-hour session on politeness in English for participants of the English program at BBT (Business Breakthrough, which offers programs seminars for businesses professionals). It was encouraging to see participants eagerly listening, taking notes and asking questions, and I gained a lot of insight into what English learners struggle with. It was a valuable experience and it inspired me to look further into ways that I could support people who are working towards improving their English skills. I borrowed this from my father and definitely need a copy for myself to markup and keep on my main bookshelf. Clean, Well-Lighted Sentences: A Guide to Avoiding the Most Common Errors in Grammar and Punctuation by Janis Bell is an excellent handbook for writing, and has easy-to-understand explanations, samples and quizzes to illustrate and answer questions about common errors in English. why there is an "ing" after "helping" in "we appreciate your helping us with..."
"I wish I was" or "I wish I were"? common mass nouns (no s on the end, e.g., feedback, advice, homework). The explanations are not highly technical, making the book approachable and enjoyable to read. Highly recommend!